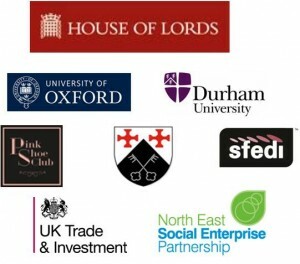 ICE and partners Capital Corporate Communications (CCC) Malaysia will host a unique Knowledge Exchange Tour during Summer 2013 which will provide powerful new insights into Entrepreneurship and Enterprise, starting at the House of Lords and ending in the North East of England. The extensive 4 day programme, which will take place between July 1st – 4th 2013, will give delegates the opportunity to gain insight into the three main ‘Enablers’ of economic development: Entrepreneurial Universities and Graduates; the Small and Medium Enterprise Sector and Social Enterprises. It will also address some of the challenges of supporting enterprise education through policy. The Knowledge Exchange Tour will offer a range of benefits for each participant via debate, discussion, site visits and one to one meetings. Benefits include a better understanding of enterprise education and economic development, Networking opportunities, possibilities of new business development and trading partnerships. Free time will also be built into the timetable to enable participants to appreciate their locations. Each day builds on the previous day. Days 2, 3 and 4 expanding greatly on what was offered in the symposium at the House of Lords. Each day, participants will be accompanied by at least two international experts in their field. Once registered participants will be asked if they would like one to one meetings arranged with the subject specialists associated with the tour. Members of Parliament, policy makers from SME related Ministries and Government agencies, including Pemandu and the Economic Planning Unit; an SME group led by SMECORP, the National SME Development Council, National Association of Women Entrepreneurs Malaysia (NAWEM); Public and Private Universities and key personnel from Ministry of Higher Education as well as social enterprises. Hosted by ICE and CCC, this unique programme has been enabled by Professor Allan Gibb OBE, The UK Small Firms Enterprise Development Initiative (SFEDI), UK Trade & Investment (UKTI), Gay Haskins, Oxford University, The North East Social Enterprise Partnership, The Pink Shoe Club and St Aidans College, Durham University.